Graber Artisan Drapery is constructed from an exclusive collection of sophisticated fabrics, and filled with elegant details to ensure that your drapes hang beautifully. Our drapery fabric can take on the structure of a sturdy pleat, the flat profile of a classic tab, the modern look of grommets, or the ruched gathers of rod pockets. 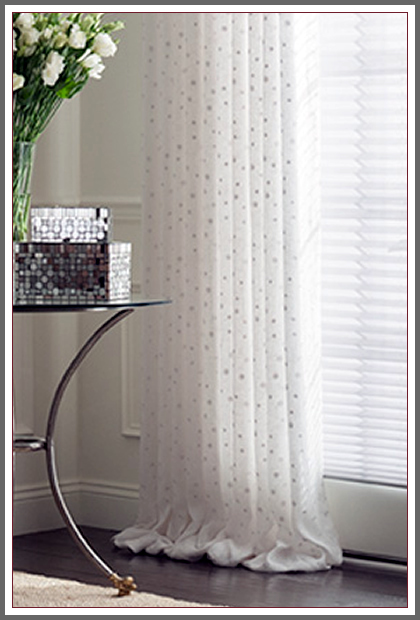 Your drapes hang more beautifully with the body and substance that liners provide. Choose from a variety of lining options to protect fabric from outside elements, regulate the light, and insulate your windows. Add volume and soft folds of exquisite fabrics to your room when you pair the shade style of your choice with the perfect textile. 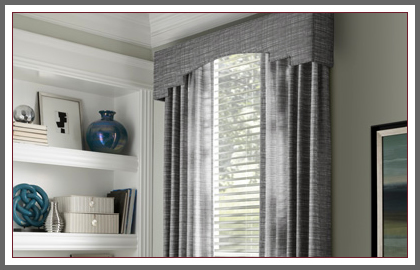 Graber Roman shades allow you to add volume and soft folds of exquisite fabrics to your room. Choose a classic flat style for a look that's clean and chic, or add graceful dimension with richly folded waterfalls. 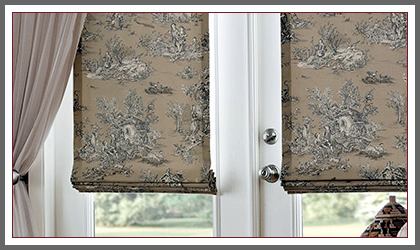 Add a distinct design element to the top of your windows with Graber cornices, swags, cascades, and valances.